AILING former Finance minister, Ignatius Chombo is seeking further relaxation of his bail conditions, a Harare court heard on Friday. He told the court through his lawyer, Lovemore Madhuku that soon he will be making an application in this regard since he intends to travel back to South Africa for medication. Chombo was recently given back his passport to allow him to travel to South Africa and was, last week, said to be on treatment. He is now reporting twice a week at Malbrough Police Station, Harare. When he was arrested, he was ordered to report three times a day before the conditions were relaxed to three times a week. He made another application which was granted in his favour and he started reporting twice per week. Magistrate Tilda Mazhande ruled that there was no need to be harsh on Chombo considering that he has been adhering to set conditions and never defaulted court. The former minister asked for court's leniency saying he was now a full time farmer and needed more time to fend for his family. Chombo has several criminal cases chasing him. According to court papers, his offences date back to 1990s while the latest offence was committed early this year after he wore Zanu-PF party regalia. He is on $5 000 bail and has also surrendered title deeds to his $700 000 worth house and passport as surety. On Thursday he was remanded to June 14 for his routine remand. He is expected to appear on this date together with his accomplices on another record of abusing Zanu-PF regalia. The accomplices are Kudzai Chipanga, Munyaradzi Hamandishe and Mathew Muleya. 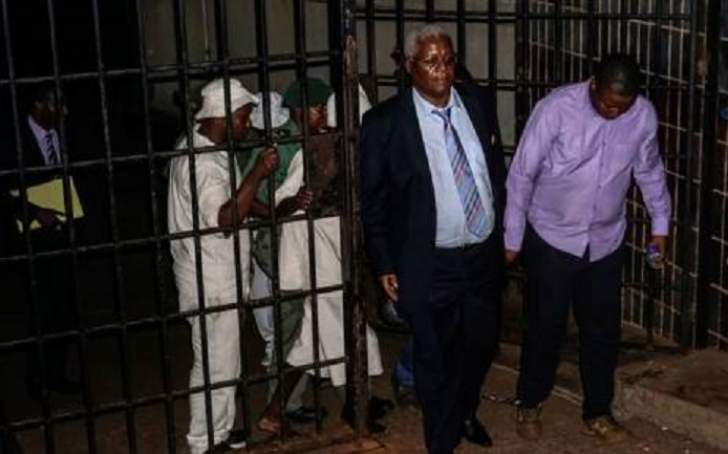 He was also remanded to the same date for the case in which he is charged together with local government ministry employees, Rejoice Pazvakavambwa and Lazarus Chimba.